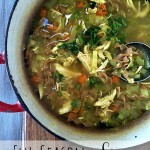 Mexican chicken soup - A Life From Scratch. Oh my goodness this is a good one friends. You know how you’re totally craving soup because it’s fall but it’s not exactly bone chilling painful cold yet? 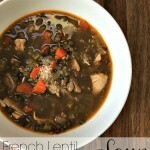 That’s where soups exactly like this come into play. Super light and healthy but still so cozy and satisfying. Let’s leave the cream filled chowders for when it’s -10 outside. Desperate times, man. Anyway, I always I love making a big pot of soup on Sundays so it’s set for dinner and a few lunches during the week. And soup always gets better and better as it hangs out. My mom had a bowl and raved about it. Always good to impress your oh so talented in the kitchen mom, am I right? 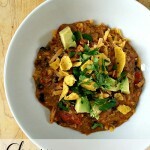 Another great part of this particular soup recipe is that it’s super quick cooking. You season up a broth and dump in all the good stuff. 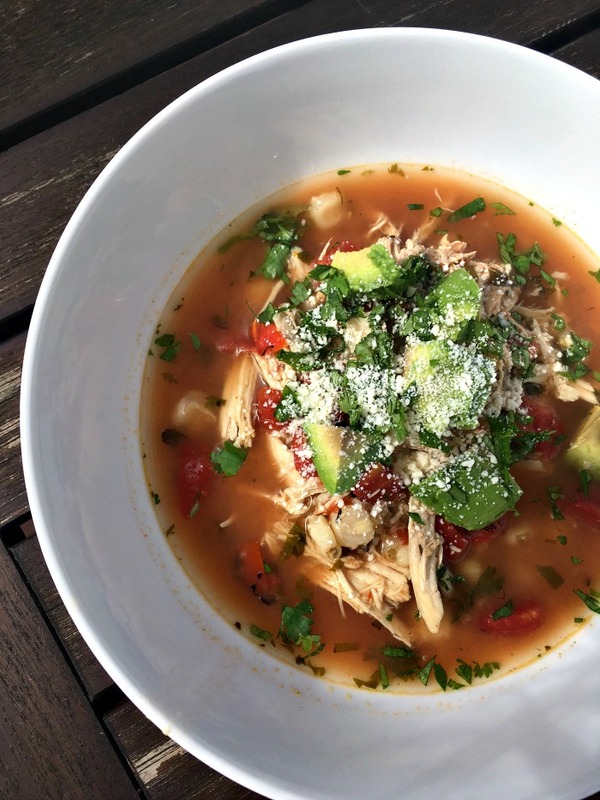 I made it ever easier by just pulling apart a rotisserie chicken and volia, Mexican chicken soup for days to warm the soul. Get it going for your family, today! 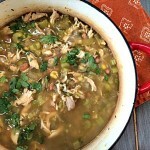 Add the chicken broth to a medium Dutch oven and bring it to a rapid simmer. Once simmering, add the bay leaf, thyme, oregano, garlic, cumin, 1 teaspoon of the salt, chili powder, coriander, and red pepper flakes. Reduce the heat to low and simmer for 15 minutes. Shred up the chicken and add to the broth. Then add your hominy and diced fire roasted tomatoes. Raise the heat to medium to warm everything through. Taste and add more salt or other seasonings if needed. Serve the soup in individual bowls with any of the desired toppings.